The White House tonight blocked Broadcom's proposed $117 billion purchase of Qualcomm, saying preventing the deal was "necessary to protect the national security of the United States." Why it matters: It is unprecedented for the U.S. government to block a deal like this one. The purchase — which would have been the largest tech deal in history — hadn't even been agreed to yet by the two companies. Blocking it also shows the Trump administration's aggressive stance on perceived threats from foreign investors and the growing technological might of China. Qualcomm is the leader in wireless chips for today's LTE networks, and is the main American company with a voice in the standards for 5G, the next generation of wireless technology. Qualcomm makes chips and licenses technology for 5G, while network equipment is sold by Nokia, Ericsson, and increasingly China's Huawei. There's some growing concern in various political circles that a Broadcom takeover would further shift the technological balance of power toward Huawei, and China. Broadcom is actually made up of two companies. Singapore-based Avago acquired the original Broadcom and took on its name. They make chips used in wireless and other networks. 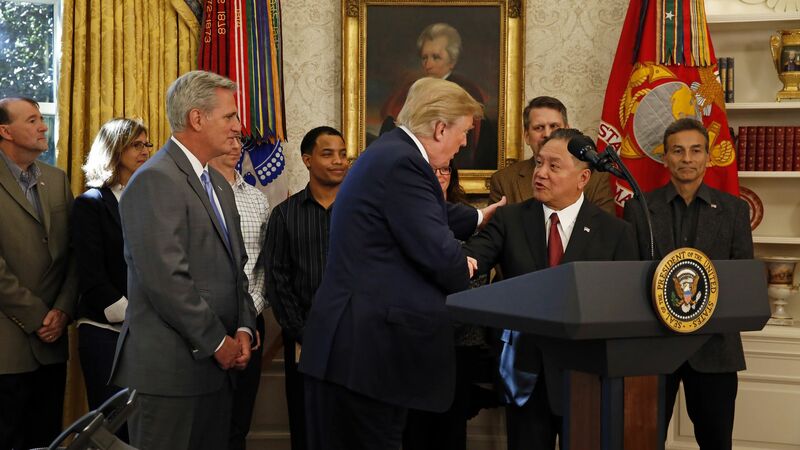 Broadcom announced at the end of last year that it would look to relocate its headquarters to the U.S.
Trump appeared last year with Broadcom CEO Hock Tan after Tan announced plans to increase investment in the U.S and move the company here from Singapore. At a White House event Tan also praised the Republican tax law. This is one of the few times a Trump-friendly CEO has been so publicly rebuked by the White House. Bloomberg reported the announcement blocking the deal "was unveiled just hours after Hock Tan ... met with officials at the Pentagon in a last-ditch effort to salvage the transaction." It is unclear what Broadcom does next, but one possibility is that it will seek a combination with Intel. A Broadcom/Qualcomm merger would have created a chipmaker to rival industry-leaders Intel and Samsung. The company said tonight it is reviewing the order and "strongly disagrees that its proposed acquisition of Qualcomm raises any national security concerns." Qualcomm had no comment beyond saying it had received the order. Go deeper: Primack on the negotiations between the two companies that the government ended today. 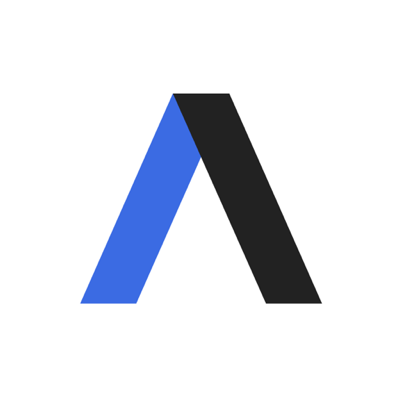 Sign up for more like this with Axios newsletters by clicking here. (b) Provisions of law, other than section 721 and the International Emergency Economic Powers Act (50 U.S.C. 1701 et seq. ), do not, in my judgment, provide adequate and appropriate authority for me to protect the national security in this matter. (a) The proposed takeover of Qualcomm by the Purchaser is prohibited, and any substantially equivalent merger, acquisition, or takeover, whether effected directly or indirectly, is also prohibited. (b) All 15 individuals listed as potential candidates on the Form of Blue Proxy Card filed by Broadcom and Broadcom Corporation with the Securities and Exchange Commission on February 20, 2018 (together, the Candidates), are hereby disqualified from standing for election as directors of Qualcomm. Qualcomm is prohibited from accepting the nomination of or votes for any of the Candidates. (c) The Purchaser shall uphold its proxy commitments to those Qualcomm stockholders who have returned their final proxies to the Purchaser, to the extent consistent with this order. (d) Qualcomm shall hold its annual stockholder meeting no later than 10 days following the written notice of the meeting provided to stockholders under Delaware General Corporation Law, Title 8, Chapter 1, Subchapter VII, section 222(b), and that notice shall be provided as soon as possible. (e) The Purchaser and Qualcomm shall immediately and permanently abandon the proposed takeover. Immediately upon completion of all steps necessary to terminate the proposed takeover of Qualcomm, the Purchaser and Qualcomm shall certify in writing to the Committee on Foreign Investment in the United States (CFIUS) that such termination has been effected in accordance with this order and that all steps necessary to fully and permanently abandon the proposed takeover of Qualcomm have been completed. (f) From the date of this order until the Purchaser and Qualcomm provide a certification of termination of the proposed takeover to CFIUS pursuant to subsection (e) of this section, the Purchaser and Qualcomm shall certify to CFIUS on a weekly basis that they are in compliance with this order and include a description of efforts to fully and permanently abandon the proposed takeover of Qualcomm and a timeline for projected completion of remaining actions. (g) Any transaction or other device entered into or employed for the purpose of, or with the effect of, avoiding or circumventing this order is prohibited. (h) If any provision of this order, or the application of any provision to any person or circumstances, is held to be invalid, the remainder of this order and the application of its other provisions to any other persons or circumstances shall not be affected thereby. If any provision of this order, or the application of any provision to any person or circumstances, is held to be invalid because of the lack of certain procedural requirements, the relevant executive branch officials shall implement those procedural requirements. (i) This order supersedes the Interim Order issued by CFIUS on March 4, 2018. (j) The Attorney General is authorized to take any steps necessary to enforce this order. Sec. 3. Reservation. I hereby reserve my authority to issue further orders with respect to the Purchaser and Qualcomm as shall in my judgment be necessary to protect the national security of the United States. Sec. 4. Publication and Transmittal. (a) This order shall be published in theFederal Register. (b) I hereby direct the Secretary of the Treasury to transmit a copy of this order to Qualcomm and Broadcom.